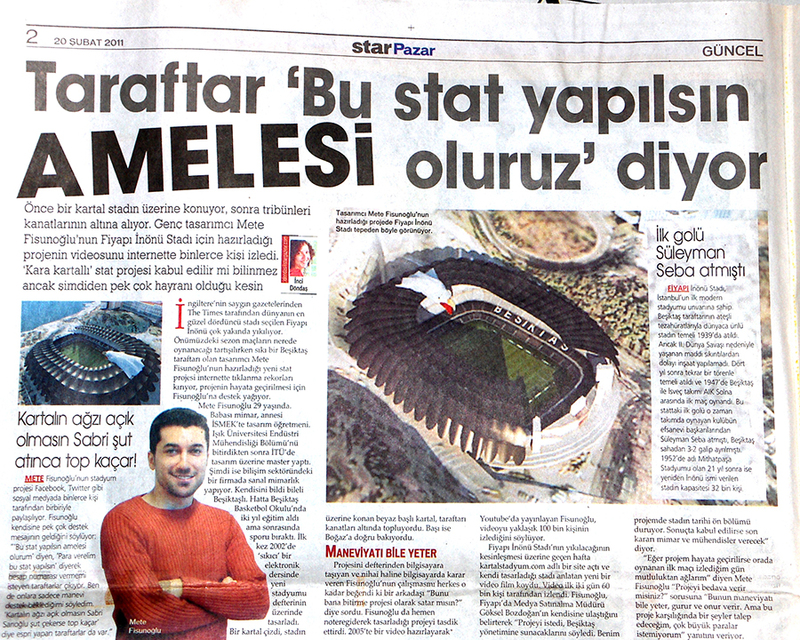 Kartal Stadyum (Eagle Stadium) is my design for Beşiktaş J.K. which is well known and supported by sports media and fans. 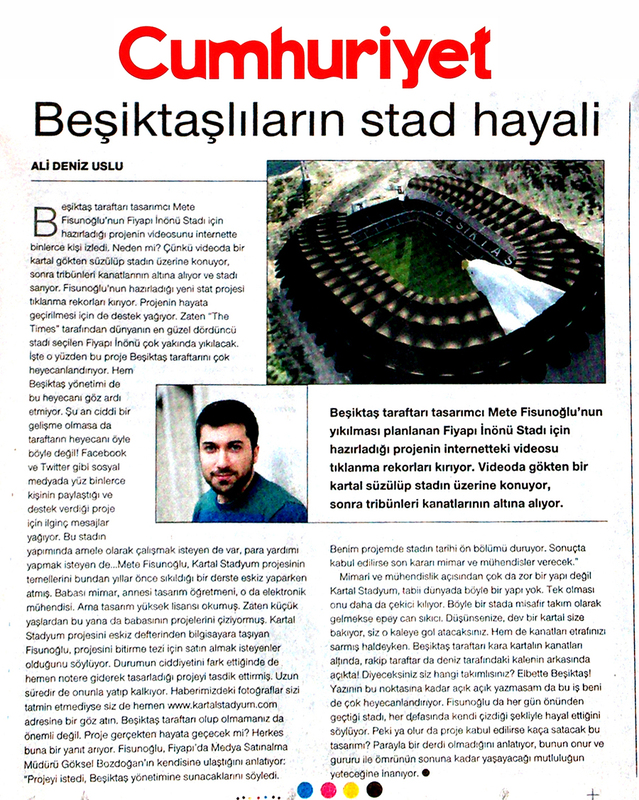 I had a deal with a construction company which is already sponsor of the Beşiktaş Stadium but we couldn’t make this project because of some board members at club and municipality. Eagle is the symbol of Beşiktaş and fans gather under the Eagle’s wings looking through Bosphorus and the pitch. KARTAL STADYUM from mete fisunoğlu on Vimeo.